*Enjoy free 2-day shipping on all orders made online only at Barcodesinc.com through April 19, 2019 at 11:59 pm CST. To apply promo code: first, enter zip code to estimate shipping. Then, enter promo code to apply discount. Offer cannot be combined with other promotions or discounts. Offer valid on web pricing only. Offer valid in the continental US only. This offer is not valid on international orders. Product exclusions apply on all printing supplies and cash drawers. 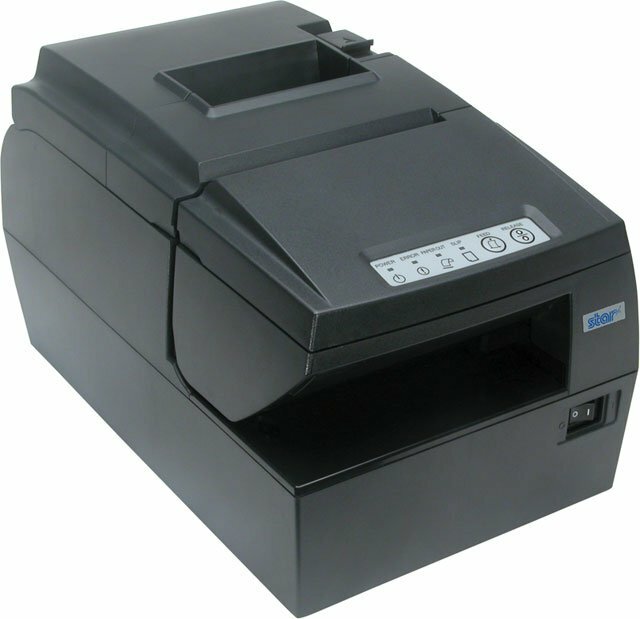 The Star HSP7543 has been developed for applications that rely heavily on dependable validation and slip printing for optimum operation, such as printing warranty information or parking ticket validation. The HSP7543's convenient, intuitive forward-loading and top of form positioning for slip/endorsement and validation printing enables simple slip paper loading. Not employing the MICR option, allows a cost reduction for these applications. Thermal Receipt printing with validation and 1-Pass MICR with Endorsement Printing, PoweredUSB interface, Color: Gray. Formerly sold as HSP7743PU-24 GRY. Call to purchase. The Star 39611301 is also known as Star Micronics	39611301	.